A stye or hordeolum is formation of abscess on either upper or lower edge of eyelid. It is due ti infection of gland present in eyelid. Main causative bacteria is Staphylococcus aureus. It appear as red hard bump on eyelid, caused by infection of sebaceous gland of eyelid. As per Dr.Abhishek it does not affect eye sight, and is generally harmless. It can occur at any age, and both men and women are effected equally. Styes are caused by bacteria infection mainly Staphylococcus aureus. It occurs when this bacteria infects the small glands at the base of eyelid hairs follicle and there after becomes inflamed. Frequent watering in the affected eye. A feeling like something is in the eye or increased light sensitivity. Pain in the eye or eyelid, especially during blinking of eyes or with the touch. Swelling or lump in the eyelid. Tenderness in the area of swelling. 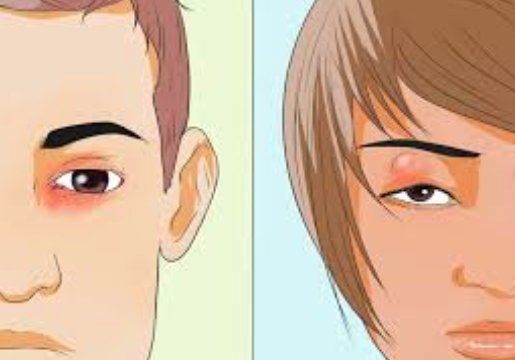 Stye can spread to other eyelid, which may lead to multiple styes. Good hygienic should be maintain, which include proper washing of hand, which can help prevention of all forms of infection, including a stye. Never sharing cosmetics or cosmetic eye tools with others. Keeping your eye tools neat and clean. Discarding used, old or infectedted eye makeup. Keeping all your cosmetics neat andclean. Not touching the eye and surrounding areas. There are 76 homeopathy medicines which give great relief in styes or hordeolum. As per Dr.Abhishek Clinical study conducted at Aura Homeopathy Clinic and research centre, With the help of Aura homeopathic medicines, its possible to treat styes without the use of allopathic antibiotics and surgery. It is 100% possible to save the eyelid from knife. Aura homeopathy provides good relief in the case of styes with its potent doses. Homeopathy medicine have a very powerful anti-bacterial effect which help in the treatment of the infection from the root, and also prevention of further recurrences of styes, and preventing complications and helps patient to save his eyes from a surgeon’s knife.